Madrigal House is a renovation and addition to an Edwardian-era house in Toronto?s Annex neighborhood for a family of five. Our objective was to go beyond the conventional approach of juxtaposing modern architecture with a historic structure. Ours was a delicate ?madrigal? ? a weaving together of restoration, transformation and invention. The new home unfolds in a passage from old to new, maintaining gracious Edwardian proportions throughout to ensure a seamless transition. A carefully restored and refined exterior respects the characteristically high-Victorian and Edwardian neighbourhood. The grand stained glass entry opens onto a central hall that stretches through the original part of the home containing the living room, music room and roomy staircase, which was relocated to a more central location from the back of the house. Here, though pared down from its original ornamental details, deliberate homage is paid to the 19th century. Newly commissioned stained glass adorns the music room and staircase; thick, curved banisters, crown mouldings and 10? 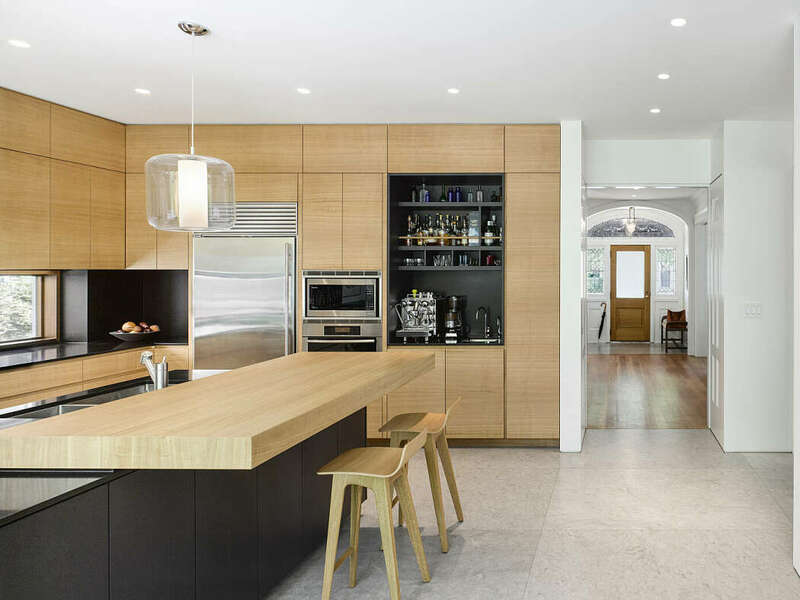 beveled baseboards are interpretation of what would have been native to the home and an existing Jatoba floor underwent chemical treatment to bring out a more era-appropriate colour.